Indian American Natasha Verma is one of the few who not only learn to fight but also begin to give in hard times. A reporter and anchor at NBC Boston, Natasha Verma has put a cap on cancer in empathy with those who have lost hair to cancer just like her. Natasha herself is a cancer patient. ‘Put a Cap on Cancer’ is her nonprofit project at Verma Foundation for women and children going through the ordeal of hair loss in their fight against the deadly disease. 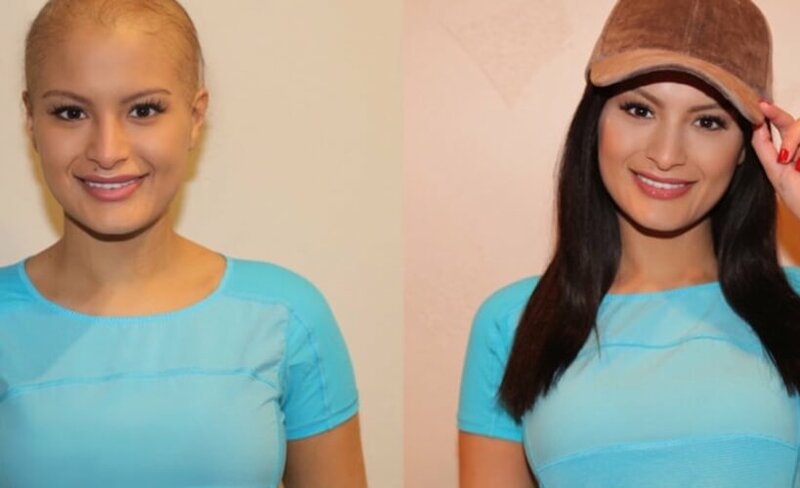 23-year-old Natasha Verma launched ‘Put a Cap on Cancer’ to provide quality cap wigs to cancer patients for free after she was diagnosed with cancer in 2017. The youngest graduate of Texas University, she completed masters in broadcast journalism at 18. An achiever in her early 20s, Natasha joined NBC Boston in 2016 and was riding the waves of success at work. Her world fell apart one morning when she felt lumps on her neck, which were found to be deadly tumors due to Hodgkin’s lymphoma. When Natasha was grappling with the gradual loss of hair due to chemotherapy, she found it difficult to get a right, quality wig for her use. During her search for the right wig, she came to know to her utter surprise that quality wigs come for a price which many cancer patients cannot afford. “Many women, especially those struggling to cover health care bills, cannot afford the cost of a quality wig,” she wrote in a post on the Facebook page of Verma Foundation, which is instated by her parents: Omesh Verma and Shama Verma. This is what motivated her to launch the ‘Put a Cap on Cancer’ project to raise money and donate free wigs to women as well as children battling cancer. The wigs that she provides to other cancer survivors are made of 100% human hair and come in 80 different colors. Every wig comes attached to a cap which gives a presentable look and does not require additional styling. One cap wig costs $150 to $200 depending on color, size, fitting and look customization. We agree with Natasha Verma that giving wigs to cancer patients undergoing chemotherapy is empowering them with confidence, hope and strength for a new life. It is a lot more than hair. Click Put a Cap on Cancer to donate for her initiative or request wigs for the needy cancer victims. This story is part of our continued effort at Indian Eagle to promote humanitarian work by Indians in USA and the rest of the world, at Travel Beats, a thriving Indian American community portal by Indian Eagle Travel. We also cater latest travel, visa, immigration and community news through our free newsletter.